Tennessee is located in the Southeast region of the United States. Tennessee has a mild climate throughout the year, but Fall is the best time to visit. The state can experience severe thunderstorms during the spring and summer months. Nashville is the country music capital of the world and the Tennessee state capital. Graceland, a large mansion and estate in Memphis, was home to Elvis Presley. Tennessee has a natural beauty and southern hospitality. Not-to-be-missed attractions include Civil War battlefields and monuments, Dollywood (Country Legend Dolly Parton's amusement park), Beale Street in Downtown Memphis (historical city of the Blues) and Opryland in Nashville (home of American music). Rock City near Chattanooga is famous for the "See Rock City" signs all over the southeastern United States. As in most American states, the car is the primary form of travel. In larger cities you will find public bus systems, and Greyhound buses are an option for travel in between cities. For more information visit: tnvacation.com. 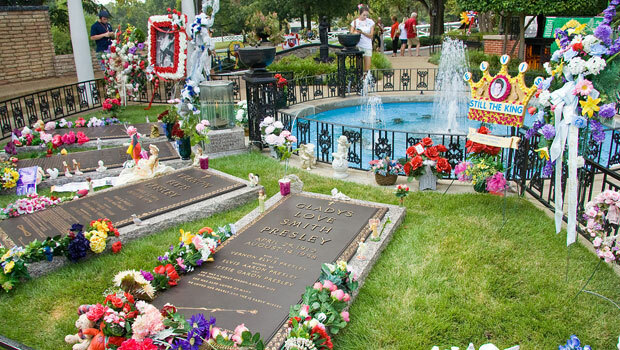 The Presley family memorial at Graceland. Photo by Cybjorg. Belle Meade Plantation in Nashville offers a glimpse of Tennessee in the 19th century. Visitors can see original buildings from the 1800s, view documents, photographs and artifacts from the original inhabitants, tour the plantation mansion and grounds, and learn about local Tennessee history. Special tours are also available, including culinary tours and a lemonade tour. Chickamauga & Chattanooga National Military Park is located in eastern Tennessee and northern Georgia and is the site of the Battle of Chickamauga and the Chattanooga Campaign during the Civil War. Multiple monuments and historical sites, including the Civil War battlefields, hiking trails, and the Chattanooga National Cemetery, can be found at the military park. The Country Music Hall of Fame & Museum in Nashville focuses on both the local history of country music in Nashville and the general history and tradition of country music over the past 200 years. Exhibits, film, video, photographs, instruments, costumes and many other artifacts can be seen at the museum, and visitors can also participate in public music programs. Tours are also available of Studio B, the place where Elvis Presley made over 200 recordings. There are many music museums, sights and attractions to see in Tennessee, including Sun Studio and the Memphis Rock ‘n’ Soul Museum, and the Musicians Hall of Fame in Nashville. And visitors can take a free shuttle between Graceland, Sun Studio and the Rock ‘n’ Soul Museum in Memphis! Graceland in Memphis is the former home and estate of Elvis Presley, an American musical icon. Now a museum and National Historic Landmark, visitors can tour Graceland and see the mansion, his trophy room, private jets, car collection, costumes, artifacts and many other areas of the estate. Graceland is the second-most visited home in the United States, trailing only the White House in Washington, D.C.! Visit President Andrew Jackson’s former home, the Hermitage, and learn about many moments in Tennessee’s history, from Native Americans to westward expansion to slavery to the Jackson presidency and more! The home, gardens, estate, farm and tomb of Andrew Jackson can be seen on tours or self-guided walks of the Hermitage. The National Civil Rights Museum in Memphis is located at the Lorraine Motel where Martin Luther King, Jr. was assassinated on April 4, 1968. The museum teaches visitors about the history of the Civil Rights Movement in the United States and how it has affected civil rights throughout the world. A popular attraction in Memphis is the sight of the Peabody Ducks in the fountain of the Peabody Hotel. Each day at 11:00 a.m. and 5:00 p.m., the ducks march through the lobby to and from the hotel’s fountain. The tradition dates back to the 1930s, or possibly earlier, and it continues to be a fun and favorite attraction in Memphis. 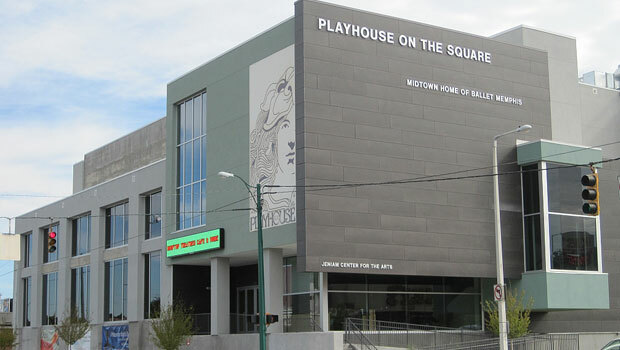 Playhouse on the Square in Memphis. Photo by Thomas R Machnitzki. Nashville is known for its live music, and though country music is the main attraction in Nashville, there are many types of music venues and concerts in “the Music City.” Check out everything from Honky Tonk Central to the Grand Ole Opry to the Nashville Opera! For more information on entertainment in Nashville, browse a guide to live music and concert calendar on the city’s tourism website. For more information on art and culture, browse the list of art museums, cultural centers and performing arts venues in Tennessee. See a full list of colleges and universities in Tennessee to watch local college sports in your community. Hike a section of the Appalachian Trail, a hiking and backpacking trail that extends up the east coast of the United States from Georgia to Maine. The Tennessee section of the trail is in the Great Smoky Mountains National Park and includes the highest sections of the Appalachian Trail. Due to the elevation of the trail, hikers must be prepared for sudden cold, rain or snow during certain times of the year, and a permit is needed if you wish to camp overnight on the trail. Rent a canoe or kayak at Kingston Springs near Nashville and take a trip down the Harpeth River. The canoe/kayak trips range from beginner to moderate difficulty, and visitors can also camp overnight along the river. During certain times of year the river becomes more difficult to navigate and will only be suitable for experienced adults, so be sure to contact Tip-A-Canoe before making any plans. Centennial Park in Nashville is a large urban park with walking trails, sports areas, historical sites, a fitness and recreation center, the Parthenon, gardens and the Centennial Arts Center. Live events, movies and concerts are also popular activities at the outdoor band shell in the park. Great Smoky Mountains National Park is the most visited national park in the United States and home to many outdoor activities, including hiking, fishing, camping, cycling and horseback riding, and sights like waterfalls, wildlife and historic buildings. Approximately 1,500 black bears are present in the park, so be cautious when camping and participating in outdoor activities. Go kayaking, canoeing, biking, rent a paddleboat or learn about the Mississippi River at Mud Island River Park in Memphis. Visitors can also see a summer outdoor concerts at the amphitheatre or visit the Mississippi River Museum. Mud Island River Park is accessible by monorail, on foot, by car or by ferry. For free outdoor concerts in the spring and summer, check out the Levitt Shell in Memphis. Browse a list of Tennessee state parks and find outdoor activities throughout the state, including biking, boating, camping, golfing, hiking and swimming. Lookout Mountain in Chattanooga has three attractions – the ancient rock formations, walking trails and panoramic views at Rock City Gardens; the underground waterfall at Ruby Falls; and the steep passenger trolley cars and mountain views on the Incline Railway. Many outdoor activities and events can be found throughout the year in this area of the Chattanooga Valley. 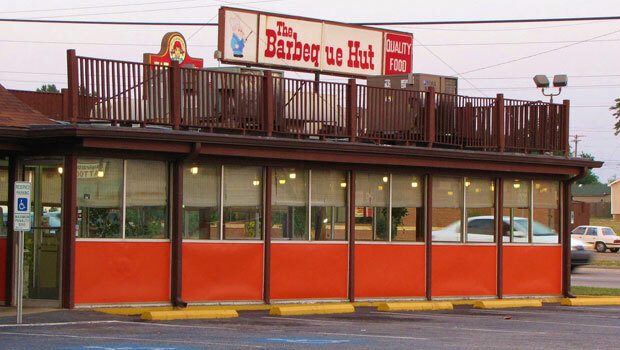 The BBQ Hut in Fayetteville. Photo by Gerry Dincher. Tennessee cuisine includes many traditional Southern foods like grits, hushpuppies, country ham, corn bread and other home-cooked dishes. Two dishes associated with Tennessee cuisine in particular are Memphis-style barbecue and Nashville hot chicken, a spicy type of fried chicken. Check out a guide to food and dining out in Tennessee to find all types of food during your time in Tennessee. Find local produce and homemade goods at a nearby farmers’ market in Tennessee. The Tennessee Department of Agriculture also shares information on fairs, local Tennessee food and beverages, and artisan farm products found in the state. Bonnaroo is a famous music and arts festival held each June in Tennessee. Musicians and bands like Paul McCartney, Eminem, the Black Keys and Tom Petty are some of the many artists who have appeared at Bonnaroo, which has been running since 2002. The festival also has art exhibits, a marketplace, food and drinks, comedy shows, children’s activities, a movie theater and information on sustainability and environmentalism. Visit one of the many film festivals in Tennessee and see new and independent films from local, national and international filmmakers. Try out the Nashville Film Festival in April, Memphis Film Festival in June, or the Indie Memphis Film Festival in October/November. Check out the many festivals in Knoxville, like Shakespeare on the Square in August, the Dragon Boat Festival in June and the Alive After Five music series on Friday evenings at the Knoxville Museum of Art. Elvis Week in Memphis celebrates everything Elvis Presley with many events and activities including parties, workshops, a marathon, tours, movies, food events, and, of course, live music and concerts for a week in August. The Tennessee State Fair is an annual event held in Nashville during the second week of September. The fair has agricultural events, carnival rides, games, live entertainment, concerts, cooking contests, arts and crafts and lots and lots of food! Memphis in May is an international festival that includes many events throughout the month of May, including the Beale Street Music Festival, a Sunset Symphony, the World Championship Barbecue Cooking Contest and many exhibitions, educational programs and cultural events throughout the city in May. The festival also showcases one country each year with several cultural events, such as traditional music, food, art and films from the country. The Memphis Music & Heritage Festival is a free festival that focuses on the music, art and culture of Memphis and the southern region of the United States. The festival is held over Labor Day weekend in September and features bluegrass, rock, jazz, blues, folk and other types of music along with arts and crafts, food, kids' activities and cultural workshops. One Amtrak train route stops in Memphis and Newbern in Tennessee: the City of New Orleans line, which travels between Chicago and New Orleans. The HandsOn Network is a network of volunteers and nonprofit organizations with locations throughout the United States, including four volunteer centers in Tennessee. Search for a volunteer opportunity based on your location, interests, time availability or skill level using one of the HandsOn websites (see link above). New volunteer opportunities are posted on a regular basis. Help build houses for families in need with Habitat for Humanity. No experience is needed to help with one of the many local Habitat for Humanity affiliates in Tennessee, which include organizations in Chattanooga, Lexington, Knoxville, Memphis, Nashville and many other areas. Both groups and individuals are welcome to volunteer! Volunteer at one of five food banks in Tennessee and help feed hungry families and individuals. The food banks, which include organizations in Chattanooga, Gray, Maryville, Memphis and Nashville, need group and individual volunteers to help sort donations, pack donations, prepare meals, help at events and assist with other important tasks. The Indie Memphis Film Festival has volunteer opportunities ranging from four hours on the day of the event to over 16 hours, depending on your schedule and availability. Look for other volunteer opportunities at local festivals and events and sign up to help!